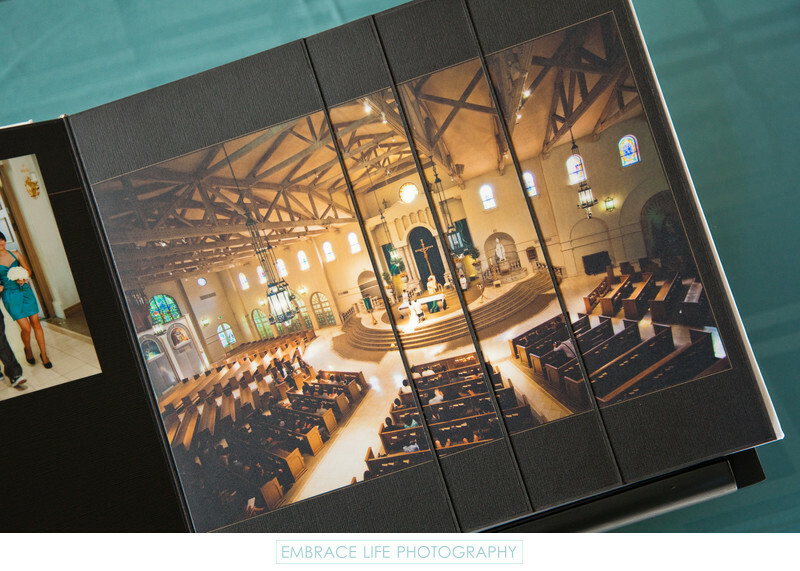 Our Hand Crafted Modern Albums are unlike any other wedding album around and this stair-step page is a perfect example. Underneath each flap of this Filipino church wedding ceremony photograph lies more, related photographs that help tell the story of the wedding. Turning the pages of a Modern Album is a little adventure full of surprises. This wedding album is styled with black page backgrounds. White and ivory background options are also available.